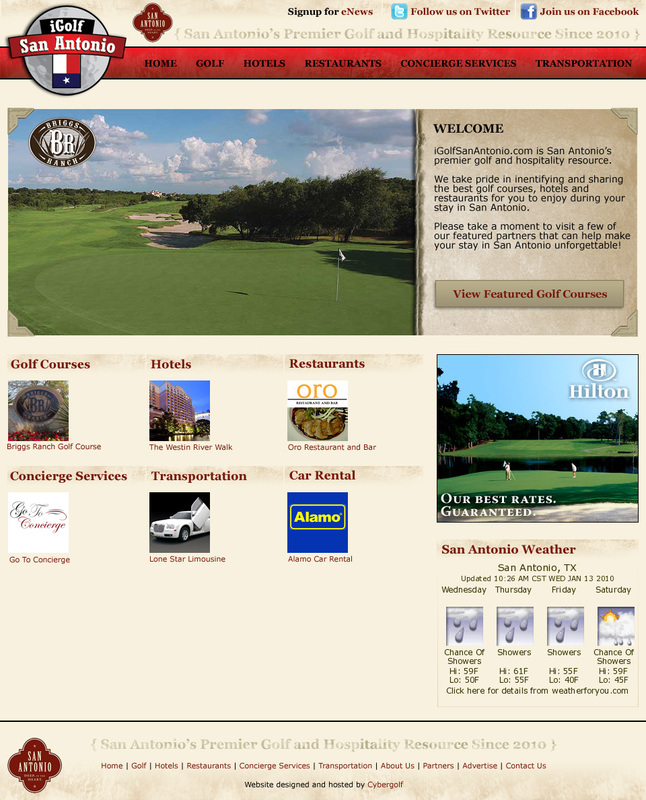 As San Antonio's premier resource for golf course and entertainment information, iGolfSanAntonio.com offers golfers a one stop shop to book a round of golf, make hotel reservations and even arrange for transportation services. When iGolfSanAntonio began their branding and design phase, they selected Cybergolf, the industry leader in online golf marketing to take the helm. As lead designer on the project, I was responsible for all branding elements as well as information architecture and graphic user interface design. Upon approval by iGolfSanAntonio.com, the site was constructed within Cybergolf's proprietary CMS.